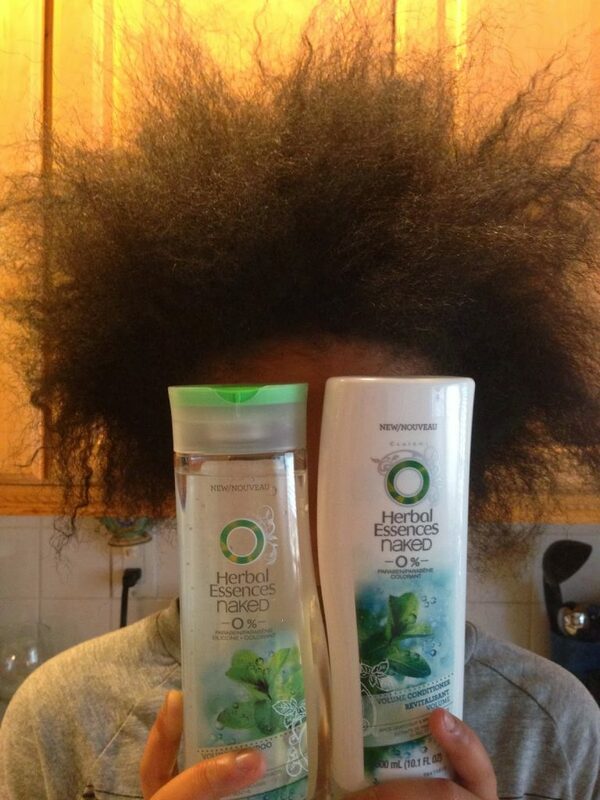 This past weekend I finally decided to use the Herbal Essences Naked Collection Volumizing Kit on my daughter’s hair after she had taken out her protective style of long “poetic justice” box braids. 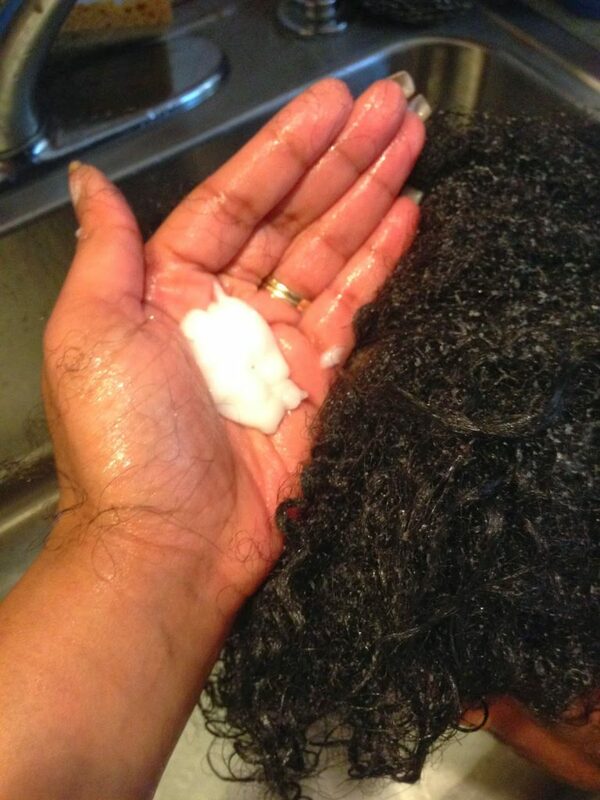 Usually after taking out a protective style like braids or weaves, it’s good to give the hair a nice wash and good conditioning (See photo 1). In my previous post (read here), when I did a review of my purchasing experience of the Herbal Essences Naked Collection Volumizing Kit, I indicated that it contained a conditioner and shampoo; a dry shampoo and a volumizing soufflé. Below is a description of what each item is specified to do for your hair. ● Restores hair’s natural body. ● Made with zero heavy residues, dyes, and parabens. ● Lightweight shampoo provides a clean luscious bounce. ● Conditioner keeps hair detangled, nourished, and maintains full volume. ● Great for days when you don’t have time to wash your hair. ● Refreshes your look for lightweight, clean hair — even on days when you don’t wash.
● The natural tapioca formula absorbs excess oil and transforms lifeless, oily hair into fresh hair. ● Delights senses with the crisp essence of citrus and mint. 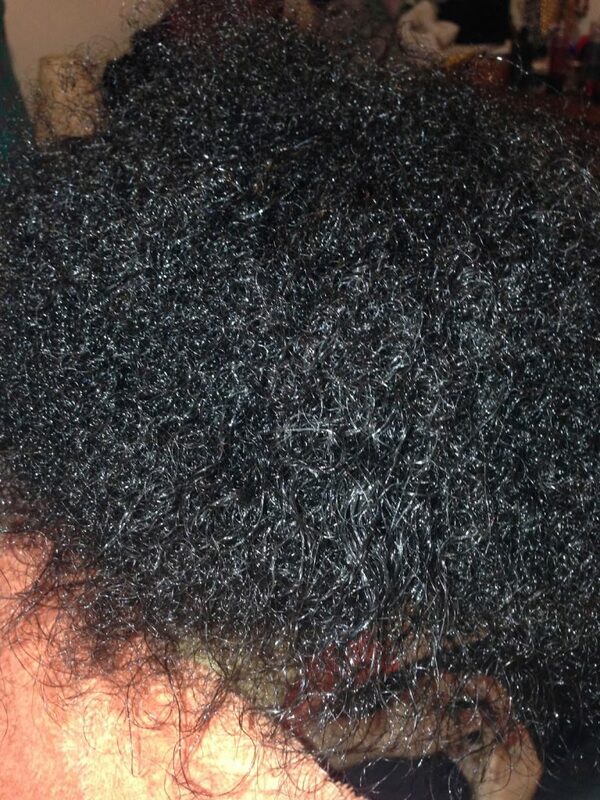 ● How to use: Gently spray on and work into roots, brush out as desired. ● Weightless, volumizing styler gives you a lift for fullness that lasts. ● Delights the senses with a boost of grapefruit and mint. ● How to use: Gently work mousse through wet hair for volume. First off, I would like to say that the smell of the Naked Volume Shampoo was absolutely AMAZING, who would think the combination of grapefruit and mint would smell so good? 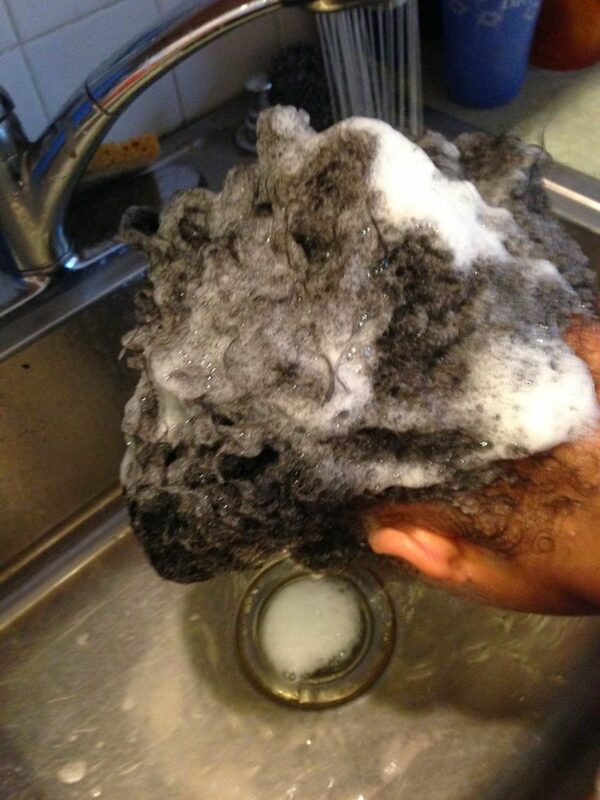 As I washed my daughter’s hair with the shampoo, I noticed that there wasn’t an over abundance of suds. See photos 2-4). I actually did a prewash and then a good final wash. Her hair felt squeaky clean after rinsing out the shampoo. 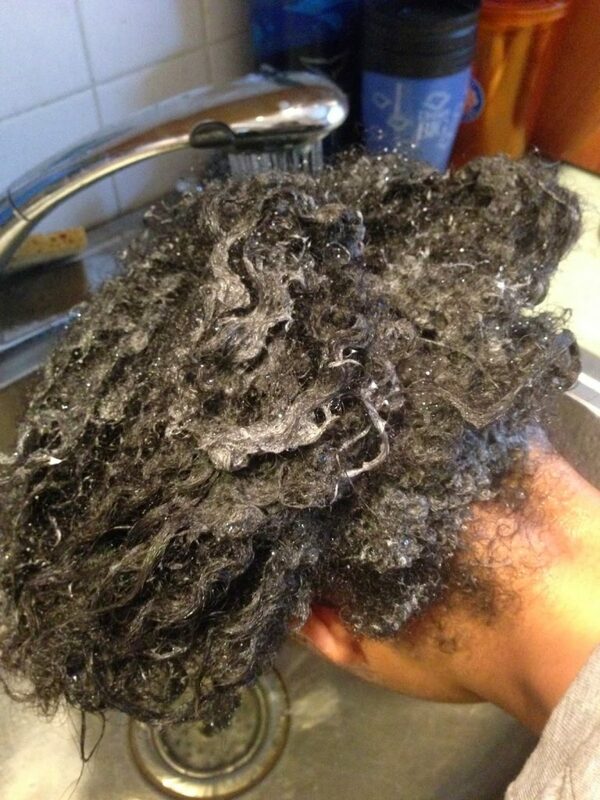 I then applied the conditioner. The Naked Volume Dry Shampoo I used on myself. 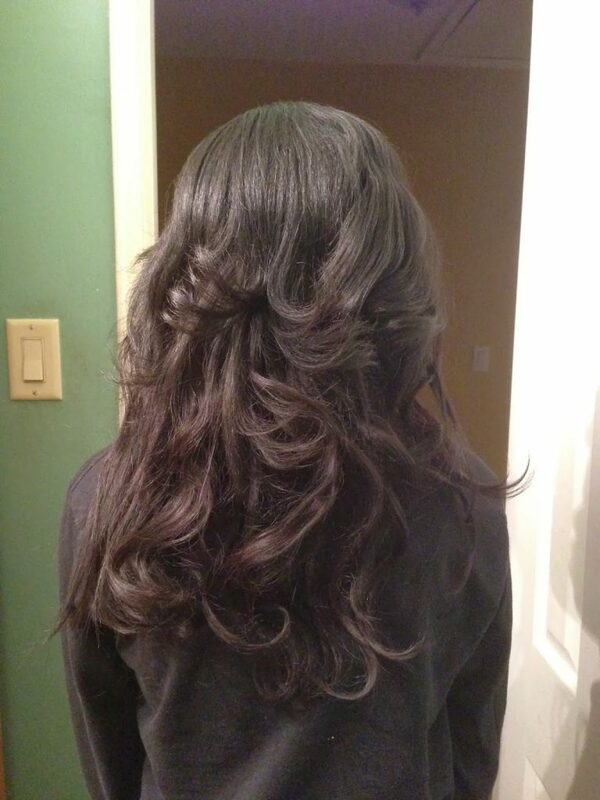 I currently have a protective style called a weave. I was currently in between stylist appointments and noticed that the hair was somewhat oily. 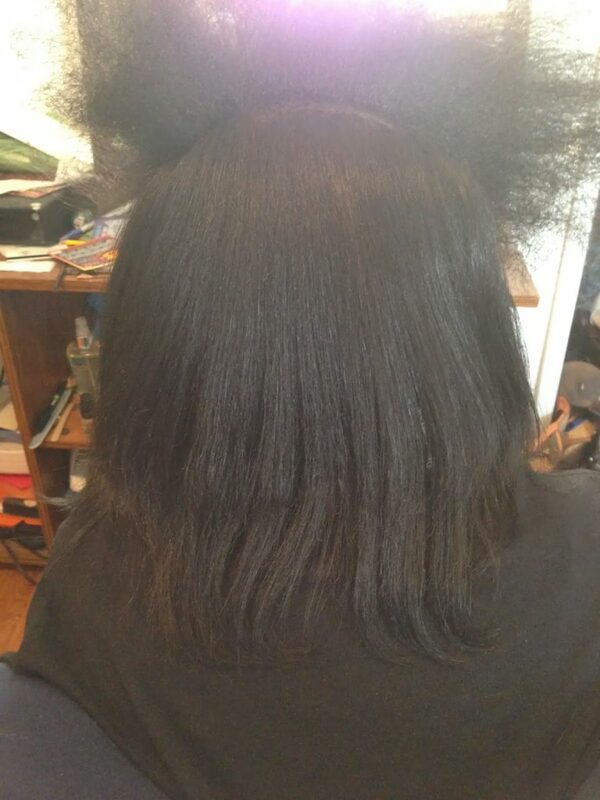 I sprayed the Naked Volume Dry Shampoo on in sections and brushed and/or combed it thoroughly through. I immediately saw bounce and the oiliness went away. I then proceeded with my normal styling technique. All in all I have to say that I am very pleased with the results of the Herbal Essences Naked Collection Volumizing Kit. I didn’t get a chance to use the volumizing Soufflé, but I’m sure it will not disappoint. Would I recommend this product? My answer would be yes! !… It works well, smells great and best of all, it’s affordable. The kit can be purchased at Walmart.com.